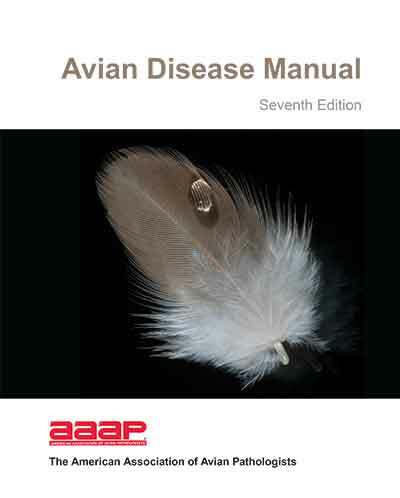 The Avian Disease Manual has become the best selling publication of the AAAP. Its success is likely due to its ability to deliver at a reasonable cost, concise yet complete information on commonly encountered diseases affecting poultry. It has become an educational staple to North American veterinary and poultry science students, to those interested in avian diseases, and a most useful reference in developing countries. The manual is divided in various chapters grouping diseases by agent (viral, bacterial, fungal, etc…). Within each chapter, diseases are listed alphabetically and the addition of an index further helps the reader to quickly locate the required information. The Appendix contains tables, each of which lists the most common diseases of a single body system. Various tables let you quickly compare diseases at a glance. This edition contains two new tables: diseases of the ducks and diseases of the upland game birds, to cover a wider spectrum of avian species. A poultry drug use list is also provided as a general guide. Also new to this manual is a chapter ‘’How do we investigate a sick flock?” The necropsy chapter includes the differential diagnosis procedure which goes on when a post-mortem examination is being performed. 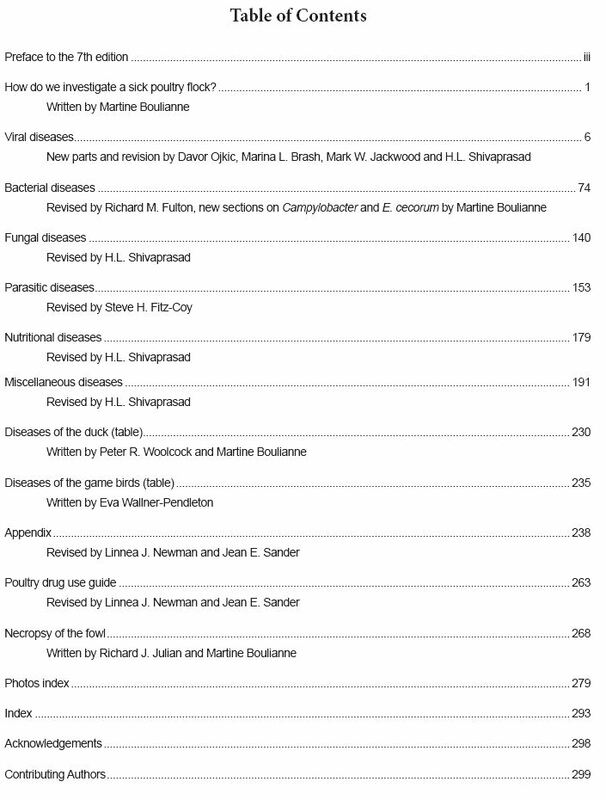 Last, the 7th edition includes more photos than previous editions and photos are included in the text and can be found after each disease section.